Just a quick update on this piece. After rendering out the eyes completely, (even more than pictured) I found myself getting caught up too much in the detail. I stepped back and evaluated the lighting, and then simplified the eyes into simple shapes with some slight definition that I can pull lights out from at a later stage. As an artist, training the eye to look for shapes found within the form can be very beneficial to simplifying the figure, and then looking with a keener eye to establish details. 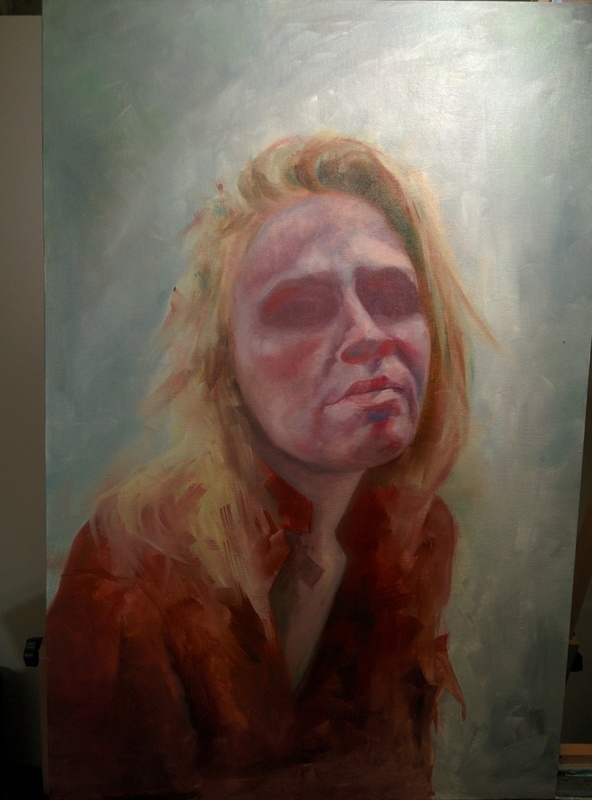 I also find that applying a neutral background in while working on the figure helps the eye to look for local color changes in the portrait. It is much easier to decide what is too dark, what's too light, what is too punchy, and what's too soft. Here are some more in-progress shots.